Over the past couple of months, Waste360 has conversed with Mittelstaedt and other industry members to delve into the details of the finalized merger. Three weeks into the new year, the industry awoke to big news: The solid waste industry's No. 3 and No. 4 haulers, Waste Connections and Progressive Waste Solutions, had struck a deal to merge to form a company with more than $4 billion in annual revenue. From the start, it was clear that the deal would be no marriage of equals. Several Progressive executives left shortly after the deal was announced. Under the terms of the agreement, the bulk of the company's board and executive team would be comprised of Waste Connections' team. And, crucially, that meant the company would be under the leadership of Waste Connections' firebrand CEO Ron Mittelstaedt. "The first and most important thing that we had to figure out for the merger was structure," says Mittelstaedt. "We had to decide who would make up the board and executive management and what the legal structure would be. We only had an interest in pursuing the merger if we had total control of everything, which is ultimately what happened. We ended up with five out of the seven board members and 100 percent of our executive team staying intact during the entire process of the merger." The finalized merger, which took place on June 1, 2016, has allowed Waste Connections to double in size in terms of revenue and employees. According to Michael Hoffman, managing director, environmental services research for Stifel, Waste Connections' revenue is now approximately $4.2 billion, and its total number of employees is approximately 15,500. This merger also makes the company present in 39 states and six of the 10 Canadian providences, making it the largest waste management company in Canada. "I think the merger is a great deal for the stakeholders of Waste Connections," says one of Mittelstaedt's lifelong influencers Chuck Wilcox. "Progressive was ripe for the picking and if I know Ron, he has underestimated the amount of synergies that Waste Connections will achieve from merging the two businesses. Sometimes bigger is easier than smaller, and Waste Connections now has a nice footprint in the industry. I have no doubt that Ron will sell off the underperforming assets and zero in on the markets that he knows the company can do well in." To make this merger go smoothly, Mittelstaedt counted on the team he has built up over the past 19 years. Working hand-in-hand with his employees, Mittelstaedt has created a strong culture made up of long-time employees who respect and support his leadership. When it comes to culture, every business has one. But not every business has a strong one. At Waste Connections, the culture is one that stands out from the crowd thanks to Mittelstaedt - who figures in the industry describe as a family man, a genuine soul and a leader. According to Mittelstaedt, culture is ultimately the definition of the 'how' and the 'why' of what the company does and it's something that's pushed through Waste Connections. "Our culture is an inclusive collegial type of culture where everyone is treated like family," says Mittelstaedt. "Ultimately, our culture is hinged on a philosophy called servant leadership, which inverts the traditional management pyramid. [Instead of employees serving their bosses, bosses serve their employees to build a happier, more-productive business with a better bottom line.] At Waste Connections, we have five core values - safety, integrity, customer satisfaction, creating a great place to work and creating a work hard, play harder environment - that help us maintain the tone for our culture." To ensure that every employee is part of that culture and receives the proper guidance to maintain that culture, Waste Connections is currently detangling some of the organizational knots that the former Progressive had. According to Mittelstaedt, Progressive was organized on a "silo basis" structure, which caused many communication issues between employees at a local level and employees at an upper management level. The sales function, for example, was departmentalized amongst a silo of just sales people and sales professionals who reported up through a corporate chain of command without real oversight from the field, despite being localized and in the field. "At Waste Connections, we do not have silos at all. The sales people, for example, report locally and have a dotted-line responsibility of reporting information up to the corporate level," comments Mittelstaedt. "While there is both oversight and input from upper management, there is not directive. Our structure allows for employees to make decisions on a local level, which allows us to make faster and better decisions." Waste Connections is currently working on dismantling those silos and appointing local market managers to help improve communication across the board. "If there are 10 points of control, Ron pushes all 10 points down to the local level, where other companies might keep two points at corporate, three in the region and spread the rest out," says RJM Associates Principal Ron McCracken. "The local team members can make fast decisions on the ground, ultimately driving smarter and faster decisions." 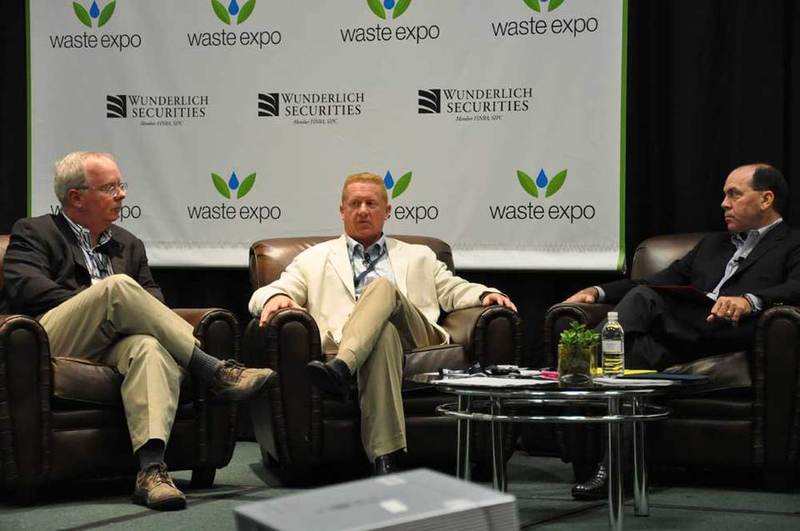 Over the past couple of months, Waste360 has conversed with Mittelstaedt and other industry members to delve into the background of Waste Connections, the details of the finalized merger and the future of the company. The merger was a long time in the making. Two weeks prior to announcing the merger, Progressive confirmed a Bloomberg report that it was reviewing strategic alternatives. But the conversation between Waste Connections and Progressive went back much further than that. Throughout the past seven years, Waste Connections and Progressive held several discussions about a potential merger, but it wasn't until November 2015 that the timing was right for both parties, says Mittelstaedt. In November 2015, Waste Connections was contacted by an investment bank that represented the board of Progressive. The investment bank asked Waste Connections if the company was interested in participating in a progress that could potentially lead to the purchase of the company. Waste Connections expressed its interest, and many face-to-face meetings took place shortly after the progress participation acceptance. "Waste Connections and Progressive were both what I could call ‘super regional companies," says Mittelstaedt. "They both weren't really a complete national company on their own, but they were both very super regional companies. This merger has really created the next national platform company that covers both the U.S. and Canada." Even though the merger has been finalized, there is still a lot of work that needs to be done in terms of converting systems, organizational structures and training to ensure that all company members are on the same page. "While Progressive did a lot of things well, it unfortunately did not do well with retention of employees and safety," says Mittelstaedt. "The company had a very poor accident and injury rate and about a 40 percent turnover rate per year, and I intend to reduce those issues and move those numbers closer to Waste Connections' current rates." Waste Connections has approximately 1,200 incidents per year, and its BIN previously ran at about 3,900 incidents per year, according to Hoffman. "The company's number has already improved around 40 percent since the closing." In addition to those efforts, Waste Connections is focusing on converting systems, organizational structures and rolling out training across all platforms, specifically safety. Currently, the company is in the process of closing down Progressive's former corporate office in Toronto, its U.S. corporate office in Fort Worth and the regional offices in both the South and the East. Those closures are slated to be complete by fall so that those offices can be subleased in a timely manner. The integration of the major transitions, transactions and system and personnel changes are expected to be complete by April 1, 2017. And even though that will be a huge milestone for Waste Connections, the merger will continue to be an ongoing process for years to come. "The merger won't be the last big merger in our industry, but it's significant because for the first time since the Republic Services/Allied Waste Industries merger in 2008, two companies in the top five have been combined," says McCracken. "For a merger of its size, it was accomplished so quickly and smoothly that it was a herculean effort." Mittelstaedt grew up in the City of Fremont Calif., which was a middle-class community at the time and home to General Motors. While growing up, Mittelstaedt looked up to his father, who worked very hard and made a lot of personal sacrifices to support his family and to put him and his two sisters through college. Mittelstaedt and his two sisters were the first in their extended family to attend and graduate college. Mittelstaedt attended college at the University of California Santa Barbara, where he earned his Bachelor's degree in Business Economics. After graduation, Mittelstaedt worked as a sales manager in the transportation business and an operations manager in the overnight air express industry in both New York and San Francisco before entering the waste and recycling industry. Mittelstaedt got his start in the waste and recycling industry approximately 28 years ago, when he took a job as a district sales manager at Browning-Ferris Industries (BFI) in Sacramento, Calif. At the time, BFI was the second largest solid waste company in the world, and landing a job there was a big deal. During his first year working for BFI, Mittelstaedt met one of his lifelong influencers, Chuck Wilcox. Wilcox, who is currently the president and CEO of Waste Services Industries Inc., was one of the regional vice presidents of BFI and one of the people who pushed for Mittelstaedt to move up within the company. Throughout the duration of six years, Mittelstaedt was promoted from his first position of district sales manager to assistant regional sales manager and district manager. As district manager, he helped oversee the San Jose, Calif., area, which included a large (and difficult) municipal contract with the City of San Jose. Mittelstaedt had been working as BFI's district manager for about two years when Wilcox connected him with Rod Proto, the former president of Sanifill. Proto was looking for a regional vice president for Sanifill and Mittelstaedt's skillset seemed to fit the bill. Mittelstaedt accepted Proto's offer and made the move to Houston to run Sanifill's Central Region. 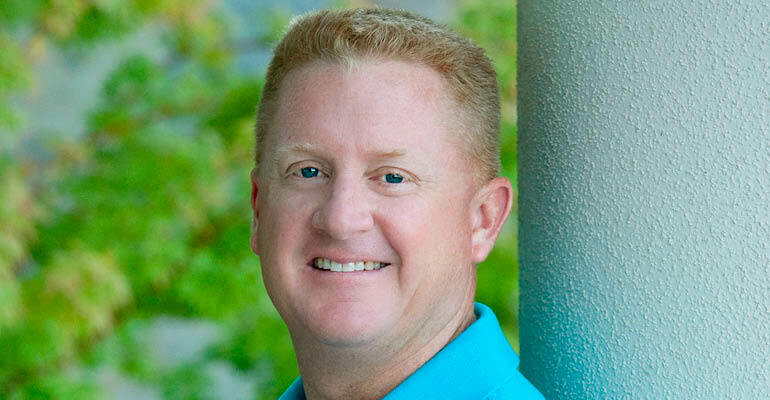 Around the same time that Mittelstaedt made the switch to Sanifill, Wilcox made the move to become the executive vice president of operations for USA Waste. As the company grew, USA Waste acquired a number of companies, including Sanifill, which ultimately brought Mittelstaedt and Wilcox together again. Shortly after the acquisition, Mittelstaedt moved to Chicago to run the Midwest Region for USA Waste. "I don't think Ron was all that happy being in Chicago because he is from California and he is a California guy," says Wilcox. "He ended up getting an opportunity to go back to the Pacific Northwest to start what was a little deal at the time. He named the deal Waste Connections, and the rest is history." Waste Connections was conceived in September 1997 and although Mittelstaedt already had years of management experience under his belt, the company went through two tragic events in its early stages, which ultimately helped guide Mittelstaedt to create a safe environment for all employees and customers. "The reality is that Waste Connections had a couple of horrific fatalities in its early stages, and they both involved children," says Mittelstaedt. "Unfortunately, the waste and recycling industry is a dangerous business, and it's a business where when something goes wrong usually something really bad happens because of the nature of the business. When you, your company and your employees have been involved in a fatality that involves a child, it has a profound impact. We had two back-to-back child fatalities within a 12-month period, and that really had an impact on my view of safety and how we handle our operations at Waste Connections." Waste Connections actually has a pretty light corporate structure for its size but, according to McCracken, the company follows a strong entrepreneurial form of operational management, where initiatives flow up instead of orders flowing down. "With this mindset, Waste Connections believes that the people at the operational level in the field are more qualified to make decisions about local operations than anyone above them," says McCracken. "And who knows the market better than the people in the market? Devotion to this principal has helped Waste Connections grow to a billion-dollar level, which really hasn't ever been successfully done in our industry," says McCracken. Some of the other companies in the industry run on a command-and-control mentality in terms of their operations, comments McCracken. With this structure, management defines what the best practices are and then they turn those best practices into policies and use those policies to guide their operational managers. "While Waste Connections has some command-and-control type of mentality, most local decisions are made locally, and managers have the discretion to set priorities and execute decisions," says McCracken. "If you're a team member on the local level at Waste Connections, everybody above you in the organizational chart is a support system and a resource for you." In addition to having an entrepreneurial structure, Waste Connections differs from its competitors by targeting secondary and tertiary markets over number one markets. "I don't expect Waste Connections to change this basic philosophy because it works for them. Waste Connections doesn't strive to go head-to-head with Waste Management and [Republic] in the larger markets," says McCracken. "The thing about Ron and Waste Connections is that they don't want to be Waste Management when they grow up. They are happy with who they are now." 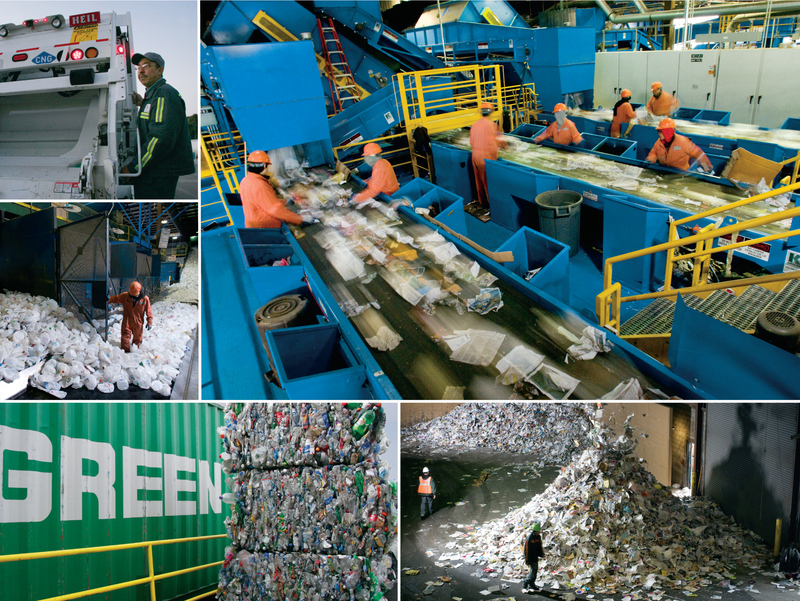 Over the past 25 years, the waste and recycling industry has gone through some changes. From the development of automated side loaders and front loaders to the launch of single stream recycling and curbside recycling programs to the implementation of composting, the industry is adapting to new technologies and solutions to improve many aspects of the industry. "The business has changed from how we service the customers to what our employees do and how our employees interact with our customers but at the customer level, it hasn't changed that much. Twenty-five years ago, they put garbage out in a container at their curb and they still do the exact same thing today," says Mittelstaedt. "I think the waste and recycling industry will be around until the end of time, and the industry won't become obsolete due to technology." Recently, the recycling side of the industry has been going through a transition due to the low cost of commodities. And many customers are now being faced with new and additional costs that have never existed before. "Recycling has been subsidized by the solid waste customers for years," says Mittelstaedt. "For decades, there was a belief that commodities prices would improve and stay at a sustained level of $150-$200 per ton. While that happened very briefly, it did not happen for any protracted period. The commodities prices for the past six years or so have been more in the $80-$100 per ton range, which is just not a range that people can be profitable at." In addition to the downward spiral of commodities prices, the industry is also facing a driver shortage. Currently, there are approximately 340,000 commercial driving positions open in the U.S. that employers cannot fill, according to Mittelstaedt. "We have a manpower crisis right now, and successful companies in our industry and other industries like the airline industry and the trucking and freight industry are going to have to get creative when it comes to recruiting talent," comments Mittelstaedt. "We never had to deal with this in the past, but we are willing to get creative to recruit more people into the industry." One of the ways that Waste Connections recruits people into the industry is by hiring maintenance technicians out of technical schools for a certain period of time. The company assists these technicians with their tuition and trains them as commercial drivers so that they can get their commercial driver's license. While they are working toward that license, Waste Connections puts them in another capacity so that they can learn the ropes of the industry. "I would encourage anyone who is interested in the waste and recycling industry to finish high school, attend a vocational technical program, participate in hands-on internships and to be as portable as possible," says Mittelstaedt. "The more portable you are, the faster you are going to move up." As far as the future of the industry goes, Mittelstaedt predicts that there will be more recycling, more diversion and more technology integrated into various aspects of the industry. And even those things will serve as fine-tuning evolutionary issues to the industry; the core business itself has not changed in approximately 70 years and he doesn't see it changing over the next 50 years. 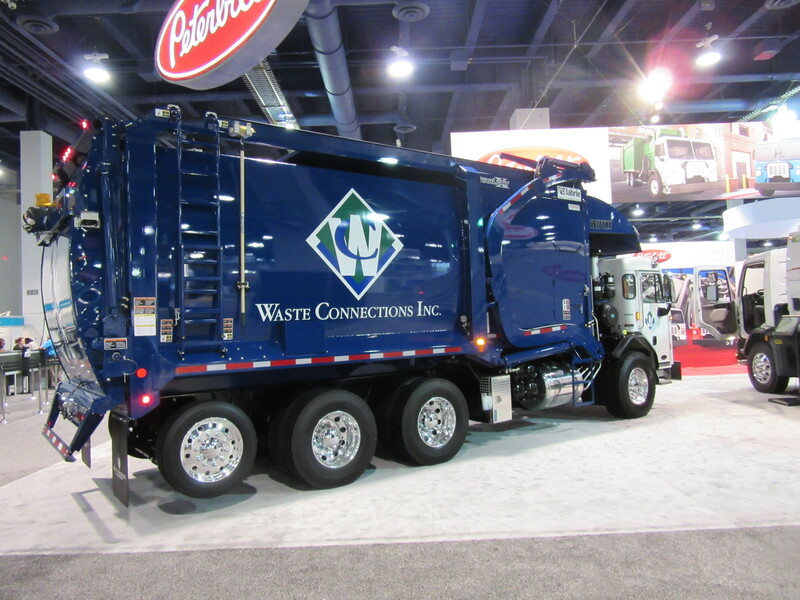 Mittelstaedt sat down with Waste360 at WasteExpo in June to discuss the company's next steps for the integration of the two firms, which will include some dispositions going forward. He also touched on the waste and recycling sector's strong performance in recent quarters and recently released the company's second quarter 2016 earnings. "Overall, I am looking forward to getting to April 1, 2017," says Mittelstaedt. "We have so much to do right now with the Progressive transaction, the integration and the assimilation of the former Progressive locations and employees within our culture and coming to a best practice that works between both companies. Obviously, not everything will be completed by April 1, 2017, but that is our goal for the major integration and sales components. I think as we near the one year anniversary on June 1, 2017, that we will start to become one company instead of just a name."